Standardized testing has permeated our society for all ages, including some for 3 year olds at elite private pre-schools. While you may agree or disagree with its usefulness, likely you have to deal with it either for yourself or your child. If we’re going to do something, let’s do it well! We collected 5 great ways to ace that next test. 1) Prepare – all year long. Don’t wait until the week before if you are unsure of the how you or your child will perform. Confident you know the material through extended practice is the best way to do well. Ensure your child is doing her homework correctly during the year to avoid a large gap in understanding. Review grades and reteach any objectives at home on which she did not test well. Communicate with the teacher to ask for any areas you did not notice. Gideon prepares students throughout the year by solidifying any holes and gaps in the foundation and building up from there. Our daily doses of practice of math word problems and multiple choice answers creates ability to dissect information and use strategies with finding answers. Avoid cramming as most things are best learned over a long period of time. Read – early and often. Reading for pleasure builds vocabulary and comprehension extremely well. Presidential candidate, Dr. Ben Carson, changed the course of his life in 5th grade after his mother required him to read two books a week. Not surprising, considering this habit changes the volume of white matter in the language area of the brain. Even students who usually excel can benefit greatly from preparation. See the video. 2) Teach strategies. You won’t be able to give your child all the answers beforehand so you’ll have to teach him HOW to find the solution. Read directions carefully. Reread stories and problems. Eliminate and mark out all the incorrect answers. Review answers again. 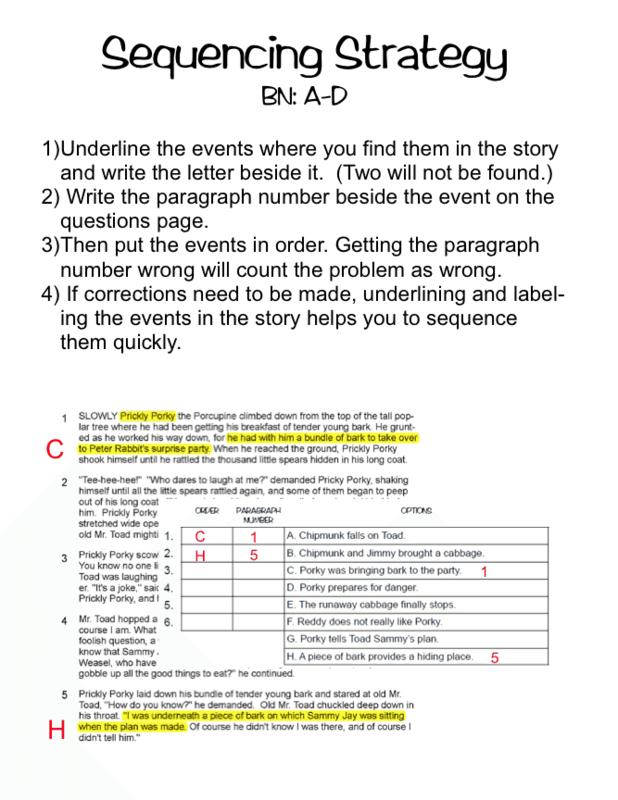 Make notes in the margins where answers are found or underline important text. Write out what is known. And of course, do not rush! Students are trained and practice these skills every day at Gideon. 3) Practice on sample or released tests. Drive out anxiety through familiarity. Something you’ve done many times will seem easier than a brand new challenge. Most states have a website where these can be downloaded. A simple google search can find them. Here is the version for Texas, STAAR. Don’t only do the test, but grade it as well. Correct any wrong answers and ensure understanding. Corrections are the greatest teachers! 4) Discuss any fears or test anxiety. Parents, remember, this is just one test. Any difficulties can be addressed afterwards. If you put too much pressure on your child, it may backfire. Students who are nervous will second guess themselves even if they are correct. If your child expresses any fears, discuss them calmly and positively. Encourage her best work and remind her of strategies. Express faith in your child’s ability to do well. Generally, children want to please their parents and will be distressed if they feel their best isn’t good enough. You want your child relaxed at testing time. 5) Last minute prep: good sleep and good eats. As we have discussed several times, good sleep is essential. Don’t forget a protein-rich breakfast like eggs to keep him full later. Avoid sugar such as in a fast food breakfast which can spike early and cause sleepiness laster. Dress in comfortable layers as the testing could be done in an unfamiliar room that may be hotter or colder than usual. And then, help him stay relaxed on the ride there. It’s just one test. Want more resources? Go here.